Full Featured Real Estate Website for Lead Generation and Marketing. 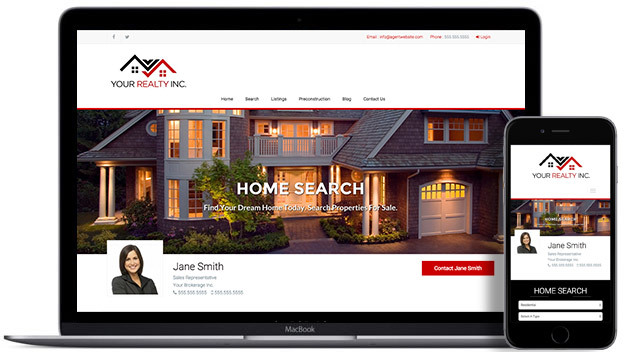 Professionally Designed IDX Websites for Real Estate Agents. Every Brite Agent subscription include a custom designed site to match your brand and style. Our dedicated design team is available to help you with your branding. Supercharge your Real Estate Website with MLS IDX Data. Our real estate agent websites enables you to seamlessly to pull and display all current listings from your board right into your website..
Access and manage all your website contacts through our easy to use built-in CRM Platform. We are consistently add new features to our platform to help you generate better leads, create and market listings through our simple to use marketing tools. All our designs are professionaled design to give you that professional image for your business. Every design can be customized and tailored to your business requirements. All our website are responsive and mobile friendly. Your website can deliver information to your visitors on any device or platform.